The 57-year-old actor - who has daughters Mabel, 10 months, with wife Emma Heming-Willis and Rumer, 24, Scout, 21, and Tallulah, 19, with ex-wife Demi Moore - has splashed out on a luxurious new apartment on Central Park West. A source told gossip website RadarOnline.com that the 'A Good Day To Die Hard' star bought the property from U2 bassist Adam Clayton, who put in on the market in October for $8.695 million. The 1930s apartment, located in the prestigious El Dorado building in which Bono and Alec Baldwin also previously owned homes, is described as an "art deco gem" that offers views of Central Park from the large master suite and two other rooms. It also boasts three bedrooms, four bathrooms, and was converted into two separate units by Adam with a custom-made kitchen, slate countertops and terrazzo floors. Bruce previously lived in Central Park West with Demi. He also has homes in Ketchum, Idaho, and two mansions in Beverly Hills. 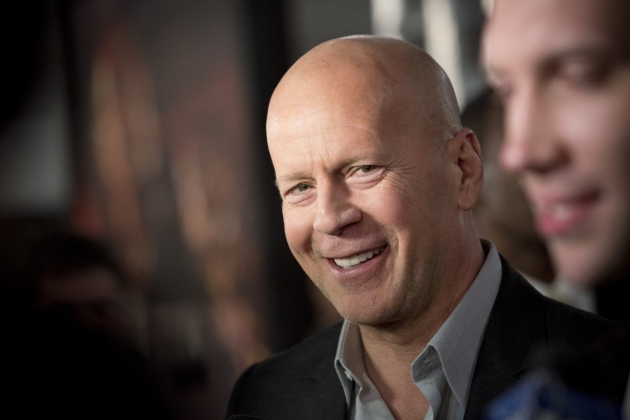 Bruce recently revealed that he sometimes takes on film roles simply to entertain his children. He said: "Hopefully my parenting techniques in real life are not about the entertainment of the masses. They are just the entertainment of my children, my four daughters. "I get a huge kick out of trying to make my kids laugh. It's a great job to try to be the best job you can."